A metropolitan yet green city, Singapore is also known as the Garden City. Trees line the side of every road, and islands of greenery are found among housing estates, shopping areas, and even office buildings. 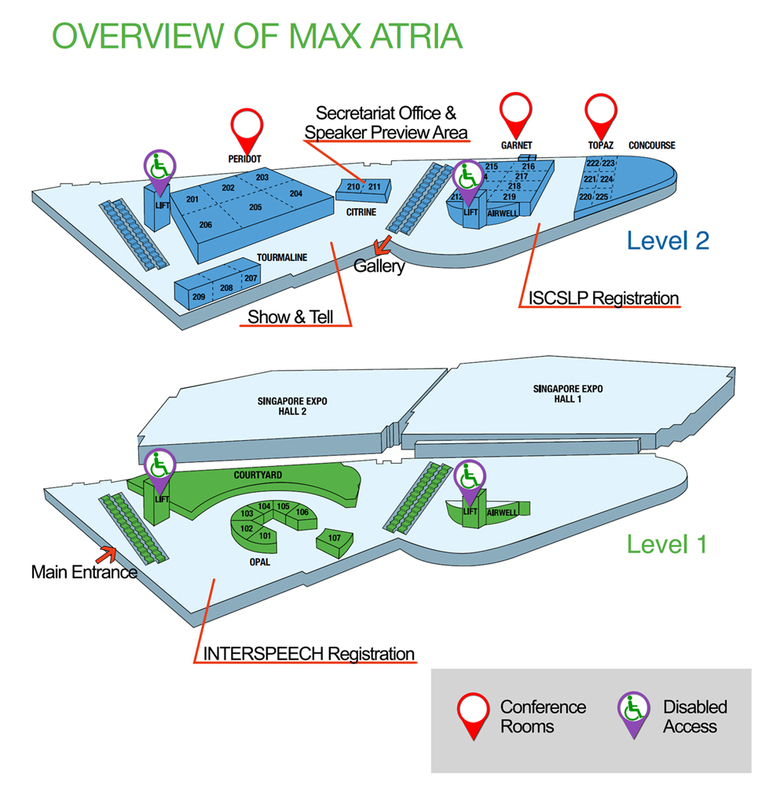 MAX Atria follows in the tradition of greenery, and presents a brand-new conference experience. Designed around green initiatives and fitted with modern audio-visual technical capabilities, the venue provides dynamic spaces for any variety of events. MAX Atria is also the first exhibition and conference center in Singapore to receive the BCA Green Mark Platinum award, signifying a commitment to sustainability efforts. There are numerous taxis available in Singapore that offer reliable service. The taxi fare from the airport to Singapore EXPO is about $15 and to the city about $20, subject to surcharges. 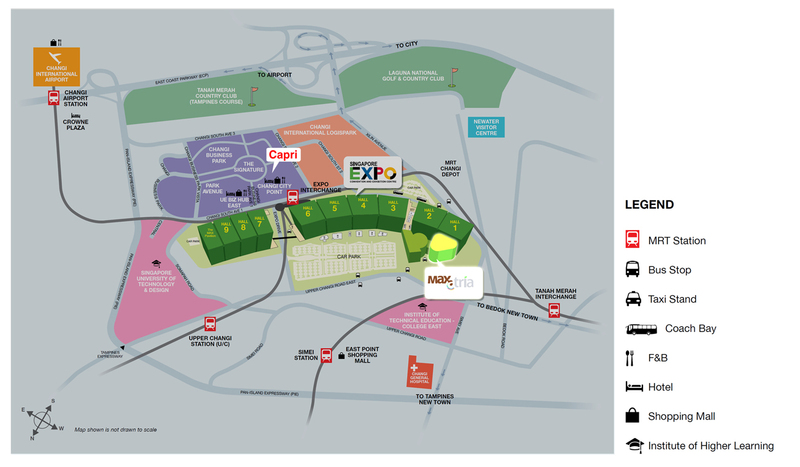 There is an additional surcharge of $2 for all taxis departing from the Singapore EXPO. Singapore EXPO is served by its own station, Expo MRT station. To get to Singapore EXPO from Changi Airport, take the west bound train. 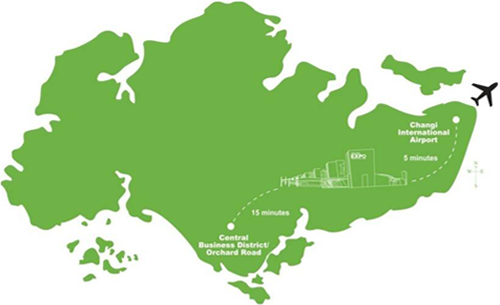 It is just one stop from Changi Airport MRT and the journey lasts only 4 minutes. Average frequency from Changi Airport station is 12 minutes. The station is behind Hall 6. There are 3 bus stops from which you can alight to get to Singapore EXPO.